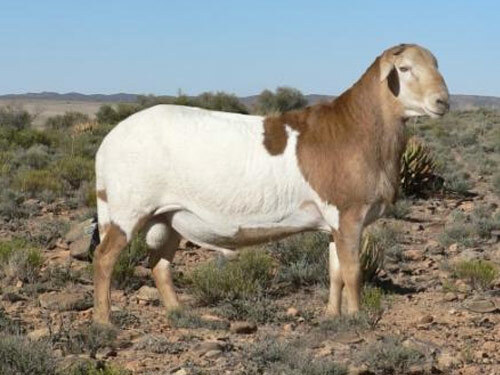 In the early 1990s, determined to utilize the advantages of the indigenous fat-tailed hair breeds and realizing the huge gap between the fat-tailed breeds and the well-muscled British and European breeds and the need for a truly good pure hair breed with good meat qualities, a group of South African farmers decided to develop a composite breed. Various fat-tailed breeds were thus crossed with well-muscled breeds and the dream of the Meatmaster emerged. Meatmaster sheep are selected solely for economic factors under natural conditions. They have been exported to Namibia, Australia, and Canada. The Meatmaster must just have a percentage of Damara blood in it. The rest can be that of any other sheep breed.